Karel Janda graduated from University of Iowa, PhD, 2003. 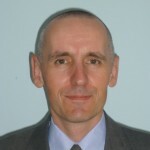 Currently, he is a professor at Department of Banking and Insurance, Faculty of Finance and Accounting, University of Economics, Prague and Chairman of Department of Microeconomics and Mathematical Methods, Institute of Economic Studies, Faculty of Social Sciences, Charles University in Prague. He is an Affiliate Fellow at CERGE-EI. He is a holder of RWE chair in Economics at Institute of Economic Studies, Charles University. His visiting faculty appointments included Toulouse School of Economics, Australian National University, University of California, Berkeley, University of Cambridge and others. His research is concerned with microeconomics and applied econometrics in the areas of microeconomics of banking, natural resources and agricultural economics and economics of transition. He is currently working on economics of renewable energy resources, especially biofuels and photovoltaics, and coordinating EU 7FP project ECOCEP on economic modeling for climate-energy policy (2014-2017). He regularly teaches graduate classes in microeconomic theory, financial contracting and microeconomics of banking and undergraduate classes in finance and banking.